1. Apply a Dark Base like MAC Blacktrack Fluidline or Make Up Forever Aqua Cream Shadow in Black , this will get rid of any skintone coming through. 2. Bring back the LIGHT! Apply a white/cream color highlight (MAC Gesso) to the brow bone/inner corner after you've finished to further pop the darkness. 3. Blend a slightly lighter than skintone concealer (TEMPTU Pro wheel Light) under the eyes and diffiuse it in to the shadow w/ MAC 224 Brush. Also, clean up the outter edge with a concealer/foundation brush. 5. Apply a brightening powder under the eyes like Laura Mercier Secret Brightening Powder . 6. Blend in to the highlight with a CLEAN blending brush. This will prevent any excess shadow muddying the highlight. 7. 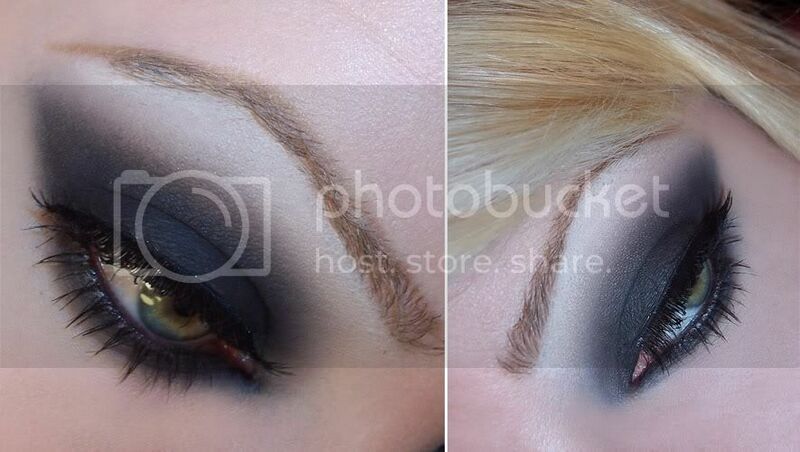 Run a q-tip under the bottom liner/shadow to diffuse it. 8. 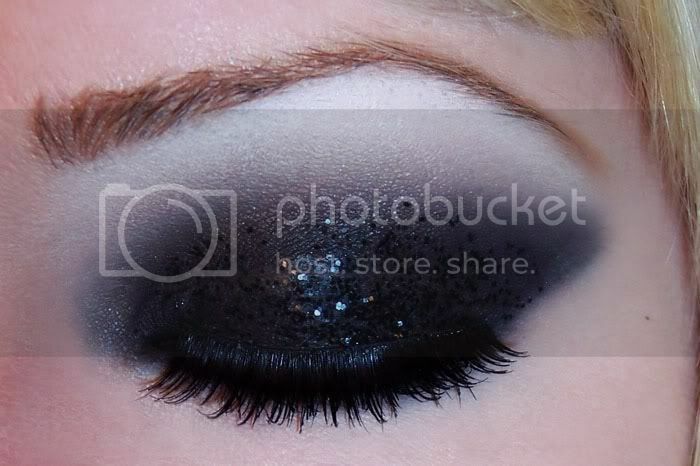 Apply glitter with MAC Fix + to your brush and on the eyes in layers, it won't take away the sparkle like glue/adhesives will. 9. 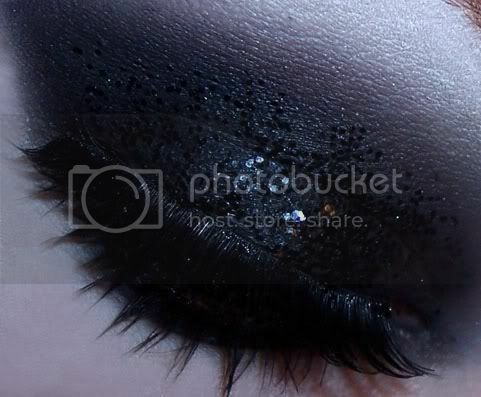 Do your Foundation AFTER, you will have to wipe away shadow/glitter fall out. and then we add the glam rock!